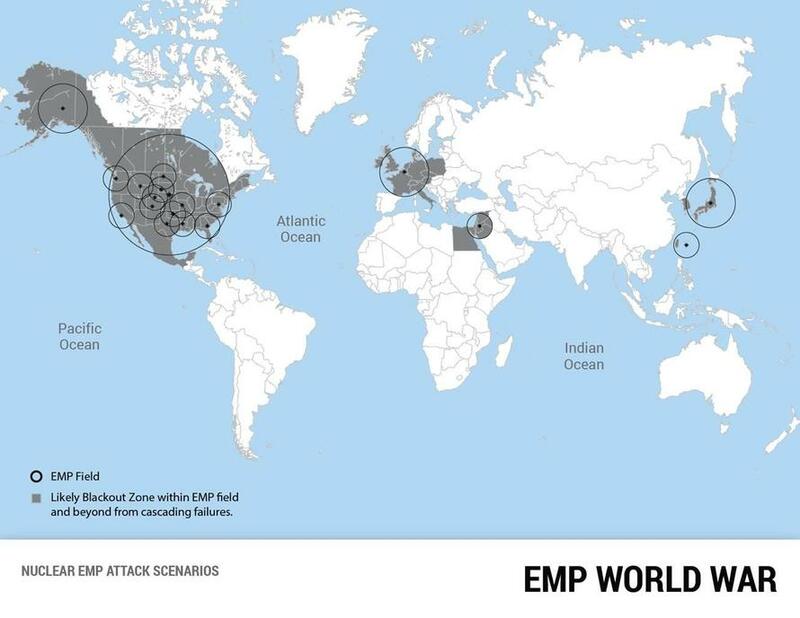 "Nuclear EMP attack is part of the military doctrines, plans, and exercises of Russia, China, North Korea, and Iran for a revolutionary new way of warfare against military forces and civilian critical infrastructures by cyber, sabotage, and EMP," the report continues. 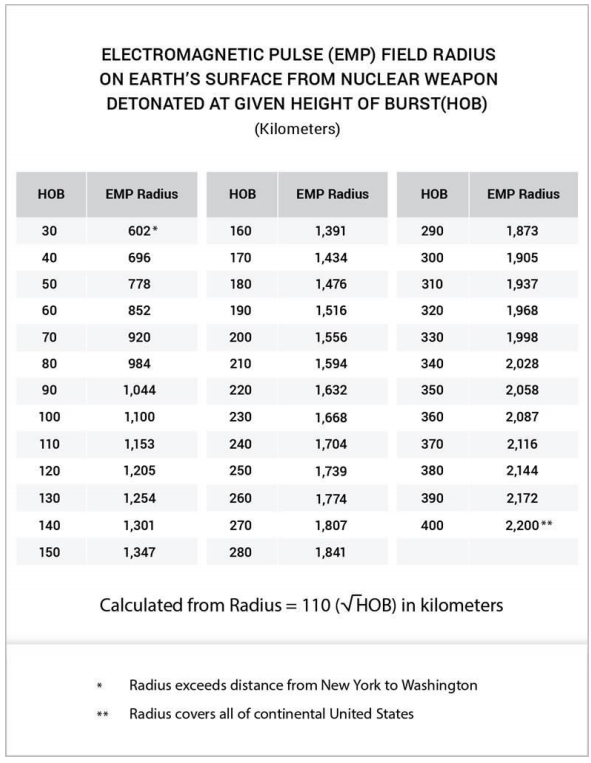 "The Commission sees the high-altitude nuclear explosion-generated electromagnetic pulse as an existential threat to the survival of the United States and its allies that can be exploited by major nuclear powers and small-scale nuclear weapon powers, including North Korea and non-state actors, such as nuclear-armed terrorists." Nuclear-electronic warfare is also known as "Blackout War" according to the Washington Free Beacon. "Potential adversaries understand that millions could die from the long-term collateral effects of EMP and cyber-attacks that cause protracted black-out of national electric grids and other life-sustaining critical infrastructures," the report said. The attacks are regarded by enemy military planners as a relatively easy, potentially unattributable means of inflicting mass destruction and forcing opponents to capitulate. 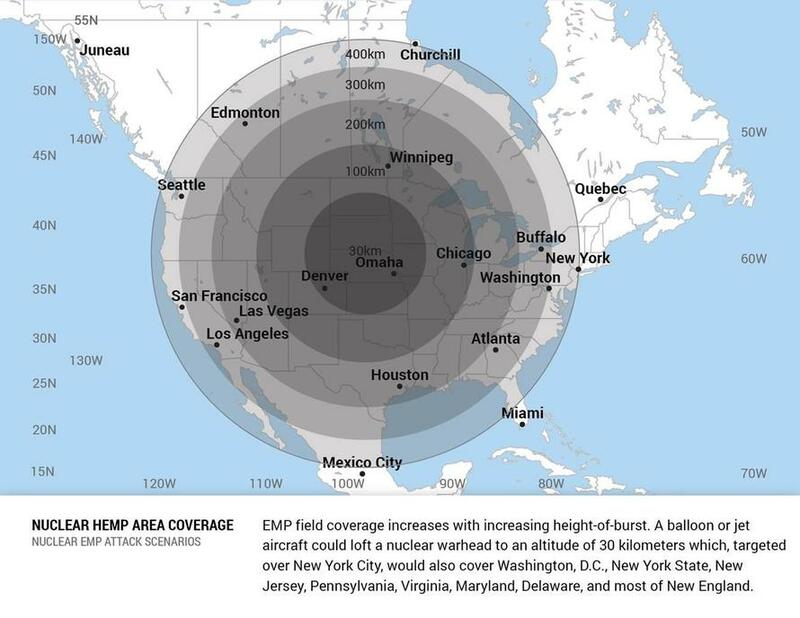 EMP attacks do not require accuracy, nor do the bombs require a re-entry vehicle, heat shield or shock absorbers like standard nuclear weapons, and they can be delivered through several methods - including satellites, short - medium - long range missiles, or even from a jet, commercial airliner or a meteorological balloon. Recommendation 5: The Commission recommends that the Department of Defense and the Department of Energy provide expedited threat-level, full-system testing of large power transformers in wide use within the bulk electric system and share key findings with the electric utility industry. And for what to do after an EMP attack, the Commission has provided a handy report titled: "LIFE WITHOUT ELECTRICITY: STORM-INDUCED BLACKOUTS AND IMPLICATIONS FOR EMP ATTACK"